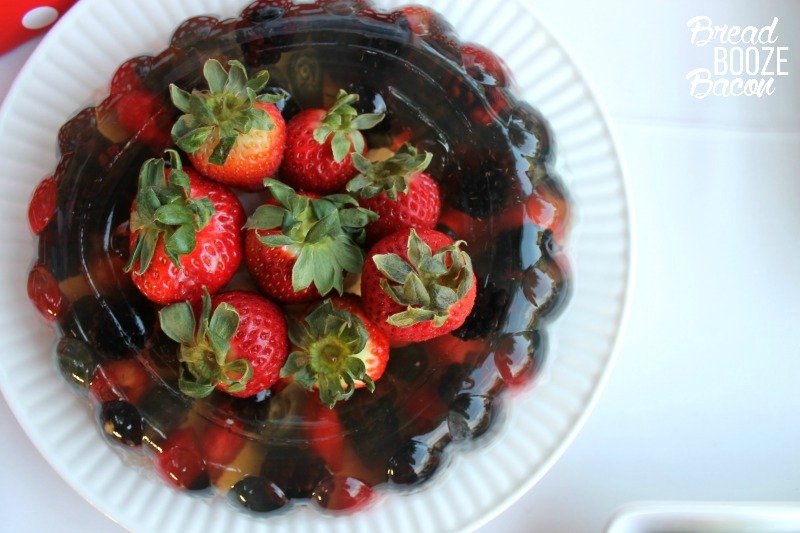 Fizzy Berries Jello Mold is a vintage throw back perfect for serving your summer crowd! It will make the perfect compliment to any cook out or barbecue! I’ve been wanting to get into the jello game for a while now. Jello molds, jello shots, jello all things! Okay, maybe not all the things, but definitely cocktails. This summer jello mold seemed like a good place to start honing my skills. 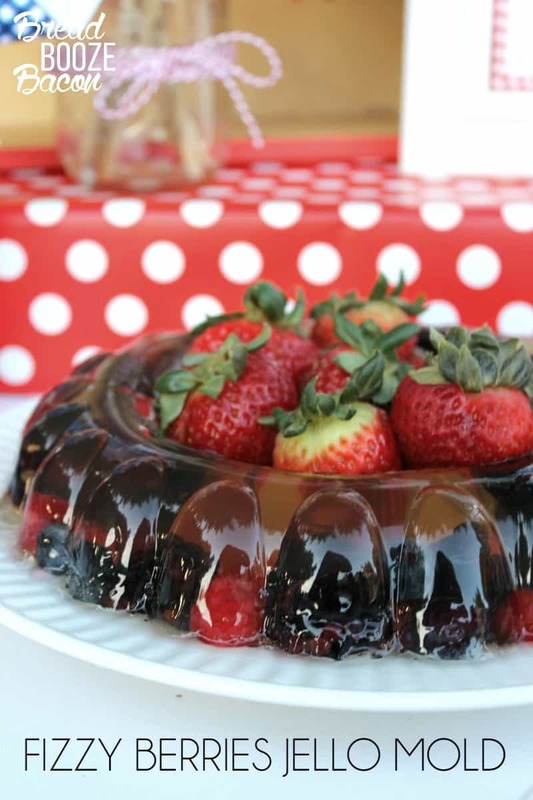 I wanted to bring something fun to our 4th of July Party and this jello mold just made my whole day. It even gave me an excuse to buy this baby! Woo! I have a few more I’ll be inheriting from my step-mom soon too. Weeeeeee! If you’ve made a jello mold before (like me until last Monday), doing some research is a good place to start. 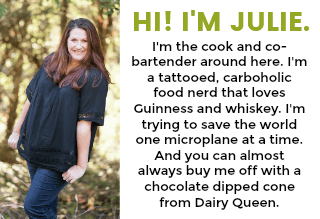 Find an expert, like The Jello Mold Mistress of Brooklyn, to reference if your jello mold takes a dive. I followed the original proportions for the jello mold recipe I wanted to make. I did substitute grape juice for wine, but I think the issue was more liquid to gelatin ratio related. After waiting 45 minutes for the liquid to cool and another hour and a half for the mold to start setting, I found a completely liquidy, not even a little bit set jello mold. I wanted to cry. So at 11pm Sunday night I dove into Victoria’s blog for help. I found this GORGEOUS Pomegranate Berry Salad. 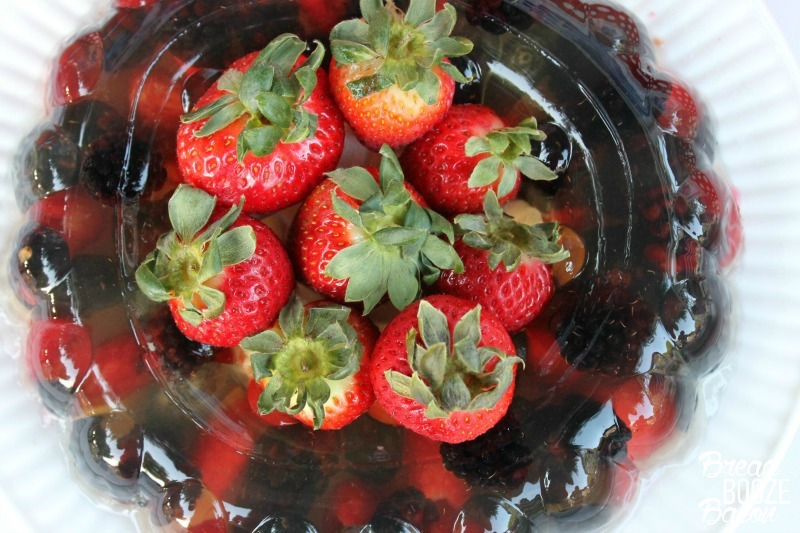 I started the whole thing over (luckily I could save the berries), used the same liquid to gelatin proportions as Victoria, and everything came out just ducky. I’m a dedicated reader to my jello mold idol now! My kids were bugging me all day Monday to try the “wobbly” thing I made. After bringing home the leftovers from our party, the boys devoured the servings I gave them. I think they’ll be on board for anything that wobbles now. Haha! 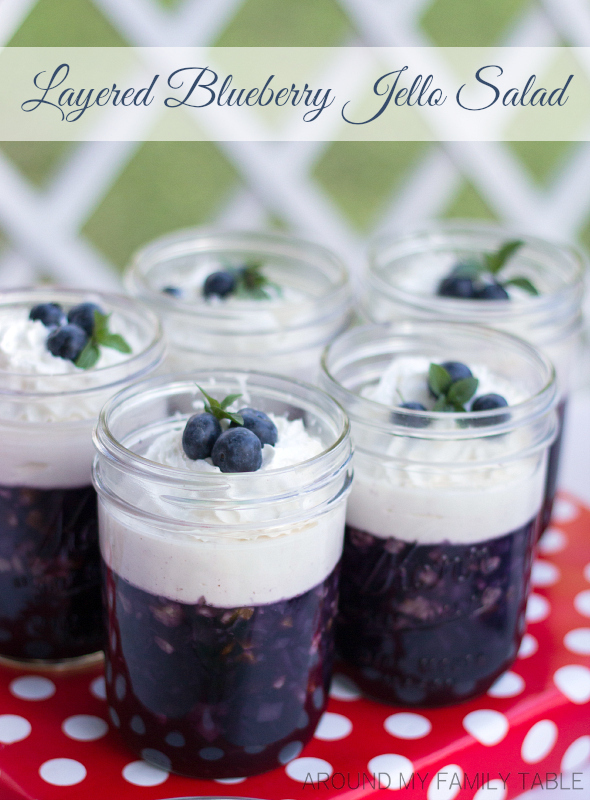 If you love jello too, you have to try this Layered Blueberry Jello Salad from my friend Wendy!! 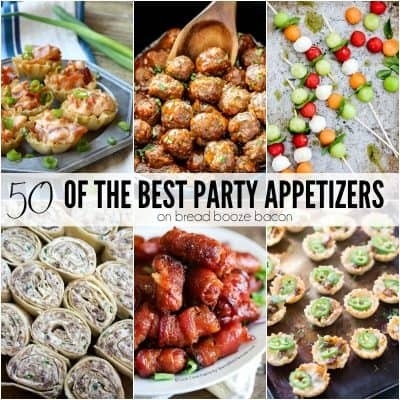 It was everyone’s favorite thing at the party. You can get all our 4th of July Party recipes, decor, and printables HERE! Place water in a large mixing bowl. Sprinkle with gelatin powder, and let powder soak into the water. Meanwhile, bring the grape juice to a simmer in a medium saucepan over medium-high heat. Pour the hot juice over the gelatin while whisking constantly. Keep whisking until the gelatin is completely dissolved. Stir in soda water. Place the bowl in your fridge for 45 minutes, or until it has thickened up a bit. Pour the thickened liquid into your jello mold. Place berries into the liquid (they will float) all around the "top" of the mold. Try to mix up the berries so you don't have big sections of just one type. 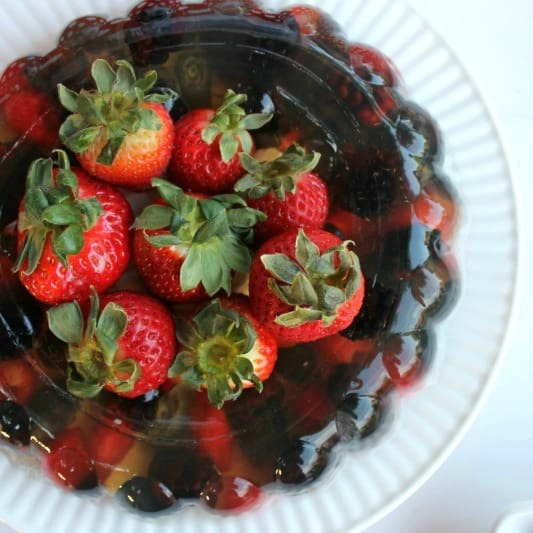 Cover the jello mold and refrigerate until set, or overnight. Dip the bottom (smaller) end of the mold in hot water for 10 seconds to help loosen it, then invert the mold onto your serving plate. Voila! I filled the center of my mold with some extra strawberries I had. 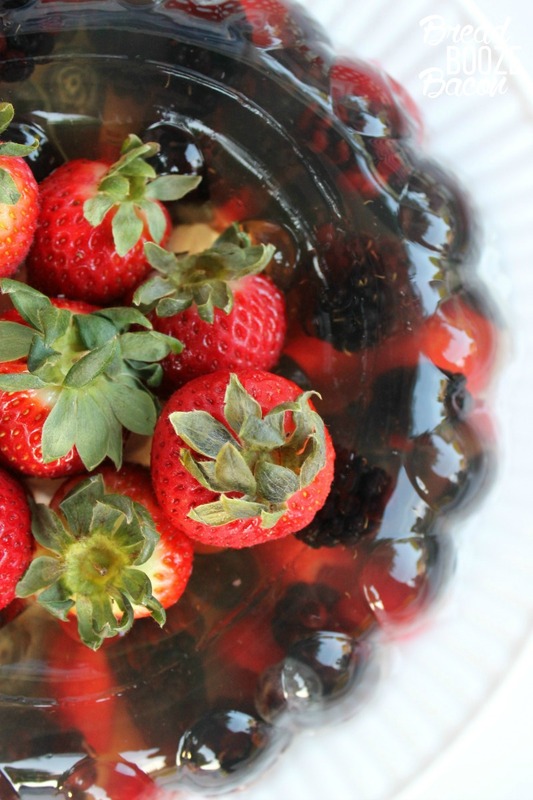 You can use any summer berries you like. Add them to the jello until you have a full layer or berries at the top of the mold (when it's upside down, and not yet set).